The global market for lactates is expanding at a robust pace due to the multiplicity of application of lactates. The pharmaceutical industry is amongst the largest consumers of lactates as the latter is used to process, produce, and develop several forms of medicines. As the pharmaceutical industry expands, the demand within the global lactates market is also expected to reach new heights. Furthermore, the usage of lactates has also found its way into the manufacturing of certain types of foods and beverages. The food and beverages sector is an ever-expanding industry that has witnessed continual additions to its product portfolio. Hence, the relevance of lactates in this industry is bound to bring in commendable revenues for the global market. Lactates are also used in personal care products, and hence, a propensity towards general grooming and self-care is also expected to drive demand within the global market for lactates. Despite these evident drivers of demand, the high cost of lactates could act as a roadblock for the growth of the global lactates market. The splendid development of the healthcare, medical, and pharmaceutical industries across North America and Europe has given a lead to the markets in these regions. Furthermore, the food and beverages industry has also been growing at an astral rate across North America and Europe, which further enhances the growth prospects of the regional markets. Some of the key players in the global market for lactates are Caldic B.V., Henan Jindan Lactic, and Jost Chemical Co., Seidler Chemical Co, Inc., Magnesia GmBh, nd Prathista Industries Limited. The report details an exhaustive account of this market along with numerous associated factors. Some of these that are included in the report are drivers, restraints, competitive analysis, latest trends and opportunities, geographical outlook, and many other aspects. The study covered in the report spans a forecast period from 2018 to 2025. From an overall perspective, the report is expected to exist as a valuable insight to businesses which are already operating in the market, as well for those who intend to newly establish themselves in this environment. The global lactates market is divided into several segments on the basis of product type, application, and region. Under product type, sodium lactates, magnesium lactates, zinc lactates, potassium lactates, calcium lactates, and could be the major segments. From the perspective of applications, the global lactates market might comprise segments such as pharmaceutical industry, animal feed industry, food and beverage industry, animal feed industry, agriculture industry, personal care industry, and others. Rapidly growing pharmaceutical industry all over the world is primarily responsible for driving the global lactates market. Apart from healthcare and medicines, some lactates are also greatly utilized in manufacturing of foods and beverages, thereby posing as a key growth propelling factor for the market. An overall maintenance of general wellbeing and health has led towards a rising demand for personal care products, wherein lactates are utilized extensively. Thus, the use of these products in a way has led towards the global lactates market to expand in a widespread manner. However, high costs of these products could hinder the market substantially. Nevertheless, efforts are being taken by businesses to develop less expensive products to reduce the restraints. Region-wise, the global lactates market is divided spread across North America, China, South East Asia, Europe, Japan, and India. Of these, a maximum demand for lactate products occurs in Europe and North America, owing to the presence of a strong healthcare and medical infrastructure. 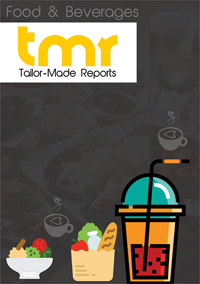 A burgeoning food and beverages industry wherein lactate products can be used extensively has also led to these regions gaining handsome revenue in the global lactates market. However, rapid establishment of key players in leading countries such as Japan, India, and China from Asia Pacific is expected to make this market depict a rampant growth in this region. Rising disposable income, briskly increasing population, and a surge in geriatric population has also been responsible for contributing towards an extensive growth in the global lactates market in Asia Pacific. The global lactates market mainly depicts the existence of a highly fragmented and competitive vendor landscape, majorly due to the presence of innumerable players. Bringing about widespread product innovations for overall development is a prime strategy implemented by most businesses working in this market. Most businesses have been present in this market for numerous years, and have relied on strategic mergers & applications as a key tool for attracting success. However, most local players experience a substantial cutthroat competition due to the larger and bigger players operating in the market. Corbion N.V., FBC Industries, Inc., Caldic B.V., Jost Chemical Co., Henan Jindan Lactic, Acid Technology Co., Ltd., Global Calcium Private Limited, BSA Inc., Jungbunzlauer Suisse AG, Pfanstiehl, Inc., Dr. Paul Lohmann GmbH KG, Galactic s.a., Seidler Chemical Co, Inc., Prathista Industries Limited, Magnesia GmBh, Zhengzhou Tianrun Lactic Acid Co., Ltd. are some of the key players operating in the global lactates market.